The idea of paying less on energy bills is music to most people’s wallets. Ten years ago, Hawai’i leaders launched the Hawaii Clean Energy Initiative, a bold program calling for the state to use 100 percent clean, renewable energy by the year 2045. Homes using the net zero energy approach are designed to be air tight, well insulated, and energy efficient, producing as much energy as they consume over the course of a year. This enables the homeowner to achieve a net zero energy bill as well as reduce their carbon footprint, thereby achieving an important element of a sustainable lifestyle. At the same time, net zero energy homes are affordable, as well as comfortable to live in and quiet. Kuwili Lani developer Michael Whelan is doing more than just talking about green building practices, he’s walking the walk. One of the principals of Big Island Sustainable Homes, Michael will help build the first home in Kuwili Lani that will serve as an example home for other property owners in the new community. Energy conservation, energy efficiency, and on-site renewable energy generation will account for 100 percent of the home’s energy usage. This net zero energy status will be achieved through carefully combining envelope efficiency, efficient equipment, including appliances and lighting, as well as passive and active solar features, such as a photovoltaic (PV) system along with a state-of-the-art battery storage system. It will enable the home to produce all of its energy requirements on site in order to reach its zero energy goal and be independent of the utility companies. The net zero energy model home in Kuwili Lani will be designed to incorporate “passive solar,” bringing natural light into the indoor living environment to reduce the need for lighting fixtures wherever possible. The home design also incorporates the use of “solar tubes,” as well as strategically placed sliding glass doors, large fixed windows, and transom windows to increase the availability of natural lighting and air circulation. With its temperate year round weather along the Hamakua Coast, net zero energy homes in Kuwili Lani will also feature “passive ventilation,” taking advantage of the cool trade winds to keep the home at a comfortable year round temperature, without the need for air conditioning. Both of these concepts are achieved by orienting the home’s building pad in the best possible direction to maximize the available sunshine, as well as the natural sea breezes. Kuwili Lani is differentiating itself from other Big Island communities by implementing net zero energy practices from the ground up. 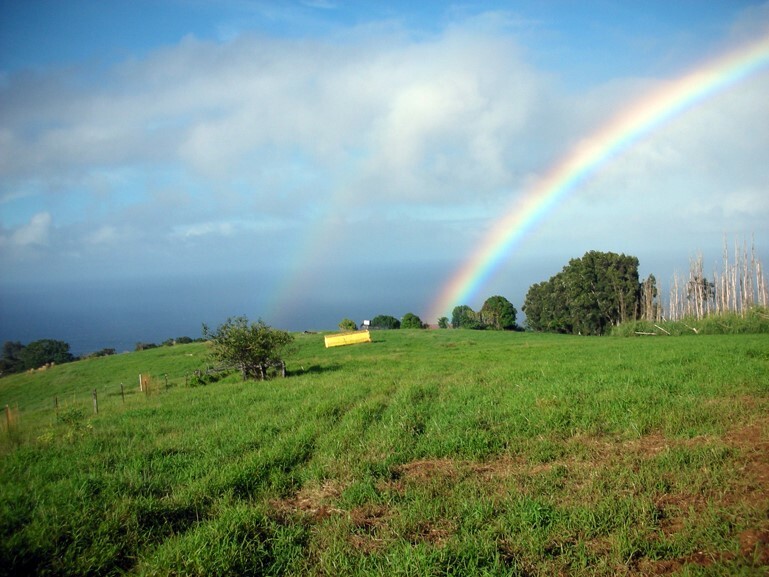 With spectacular panoramic ocean views, lush green countryside, and energy-efficient homes, Kuwili Lani is ideal for those looking for an off-grid community lifestyle and sense of place on the Big Island of Hawai’i. Contact Julie Keller today for a tour of the community!